So, what are some of the changes and enhancements? First, you will notice our fresh look and feel. We have enhanced the way you interact and navigate by placing more information at your fingertips. Second, Partners will now have their own Personal Stable, where they’ll be able to view all their current and former horses and custom-tailored news and data. Third, Partners will now be able to view and pay their invoices online. We spent a long time listening to our Partners about the kind of ownership experience they wanted, and discovered that the number one need was to get up-to-the-minute information on all their horses any time, any place. So we built the experience around the horse, so Partners can quickly and easily find all the information they need — both public and private — by simply viewing their Personal Stable. 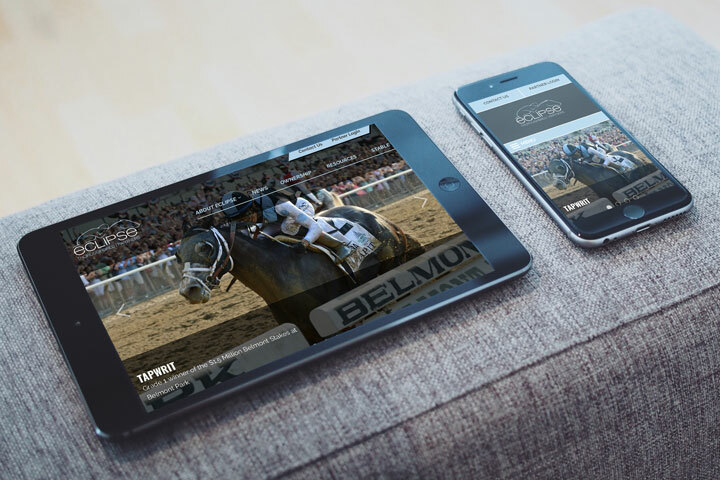 We know our Partners have busy lives and want to make the most out of their passion for Thoroughbred horse racing, so we thought deeply about the website as an integral part of their ownership experience. This beautiful, intuitive, and comprehensive platform gives our Partners an elegant and richly-detailed window to their stables any time, anywhere. Because the experience is centered on the horse and owner, it is infinitely scalable, and will be constantly improved and built upon in the future, returning more and more value to our Partners every year. We invite you to explore the site and discover for yourself why we think eclipsetbpartners.com is now the leading partner experience platform in the industry.